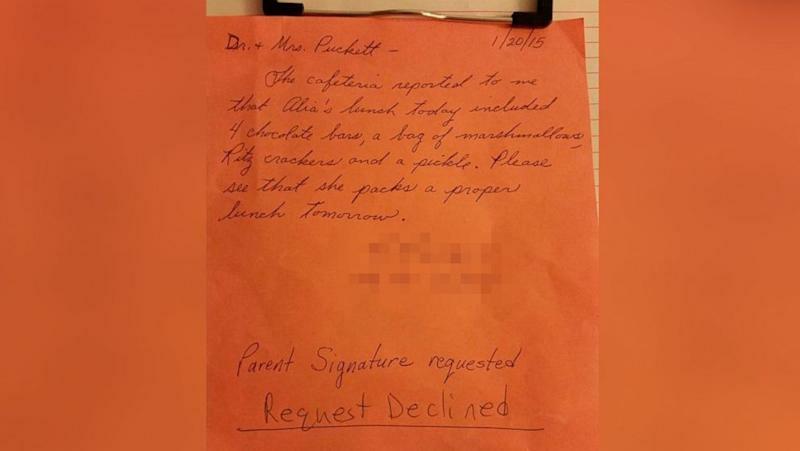 A fed-up Missouri father posted a photo of the letter he received from his daughter's substitute teacher who criticized the girl's lunch. One problem: the teacher didn't see her whole lunch. He refused to do so, and posted it online instead, saying that it was just the latest in what he sees as a growing trend of overreaching by authorities. "I think that this was just the straw that broke the camel's back for me," Puckett told ABC News. 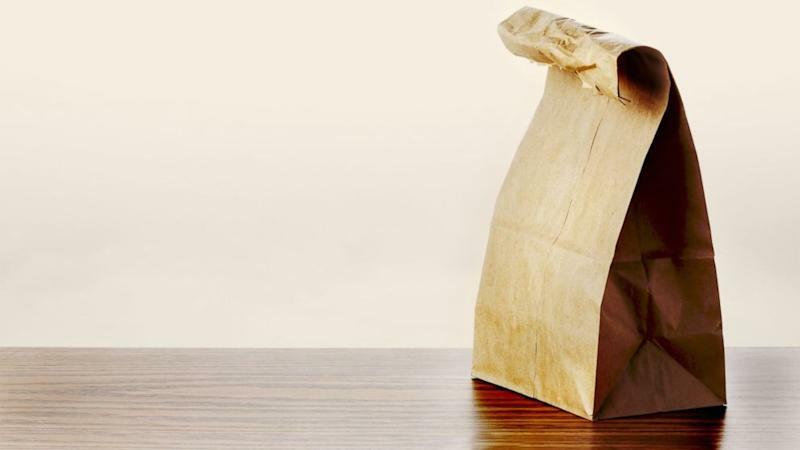 "Please see that she packs a proper lunch tomorrow," the teacher wrote. An attempt to reach the teacher for comment wasn't immediately successful. Puckett told ABC News that, since the note was addressed to "Dr. and Mrs. Puckett," it was clear that the teacher knew he was a physician which he said "just adds to the irony of it all." "We leave it up to her and she looks at the school menu and she packs her own lunch and she's a very independent second grader," he told ABC News. "Sure, I'd liked her to pack a few more veggies and maybe a piece of fruit, but we compromise on pickles occasionally," he wrote in his original Facebook post. Kirksville, Missouri, school superintendent Damon Kizzire has apologized for the incident and said that the way it's "being blown out of proportion is way out of line with how it was intended. It was all meant with the best of intentions."